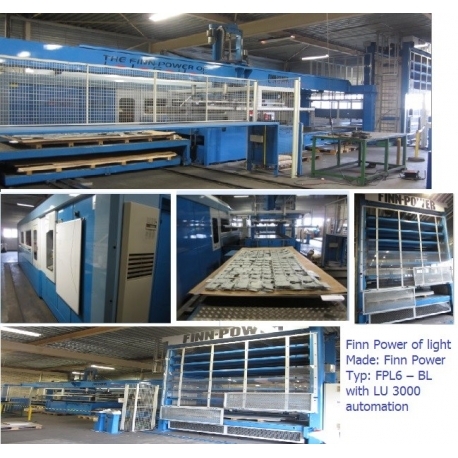 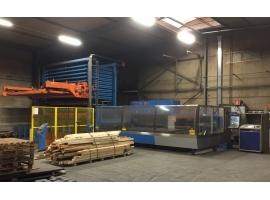 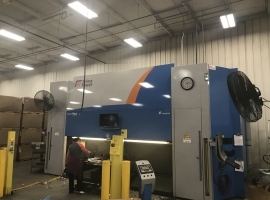 Product Deion Deion Laser cutting machine with automation Made Finn Power Model Finnpower of light FPL6 – BL with LU 3000 automation Year of construction 2002 Working hours (December 2015) 33000 h Laser cutting hours (December 2015) 9500 h Resonator was changed Laser type Rofin Sinar Laser power 3500 Watt PC control Win7 Was chaneged two years ago Working area 3000x1500mm Linear guides Automatic raw material stock sytem 8 cassettes 2 x unloading table for cutting sheet Cooling equipment Exhaust equipment Software Copy of software NC Express 11.1 rev. 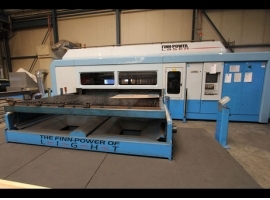 8 inbegriffen, 1 x Dongle ( = 1 x Lizenz) Last maintenance End 2015, changing water / filters, 17-01-2014: replacement of PC, wk41 2013: maintenance 24.000hours, Until 2011 “Full Operational Maintenance Contract”, 2009: Change of turbine (now this turbine has +/- 9.500 hours). 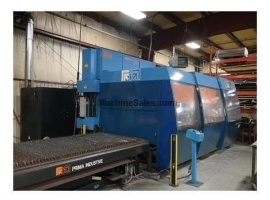 Maintenance By manufacturer Condition Is used on a a daily basis , in perfect state.